Can a deal be more about analyses than about documentation? Free your mind for next-step analyses and let Venturelytic keep track of the obvious. ​Identify opportunities and risks of potential investments early, allowing you to quickly assess the potential of these targets. 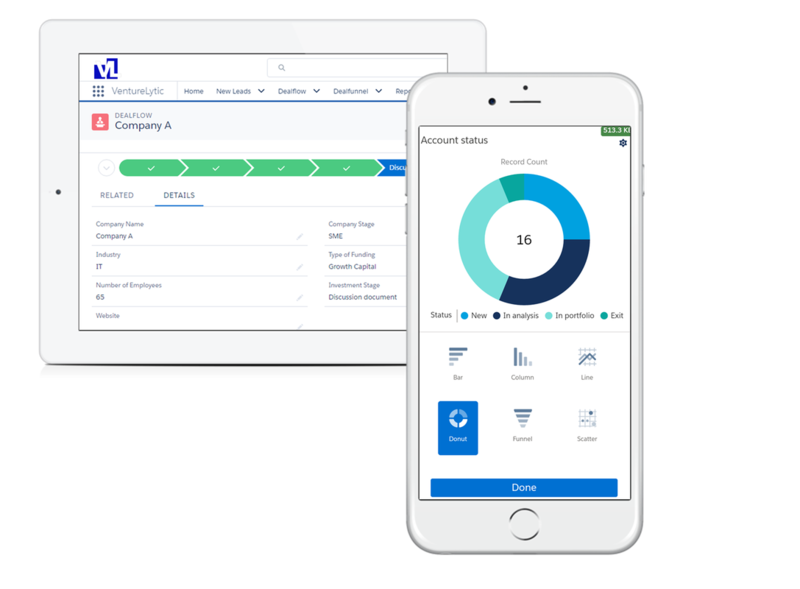 ​Increase the performance of companies you invested in with our analytics module that allows you to steer on smart KPIs together. ​Act quickly on investment opportunities and time exits perfectly while having Venturelytic secured minimal risk and maximized return in different deal scenarios. In a period where capital is highly available on the market, an increasing number of venture capitalists and private equity investors is fishing in the same pool of target companies. In a few years, only the smartest, most effective and efficient investors have survived. Venturelytic provides these investors of the future the necessary competitive advantage for a top-quality execution of their investment strategies. It allows them to work smarter, leverage the power of data and ultimately, position themselves as a leading next-generation investment firm.